DropZone is seeking factual, quality content that is relevant to skydiving. DropZone is a leading blog on the skydiving industry. Over 4.3 million viewers check out the website each month. Needless to say, you'll be developing a valuable readership if you become a contributor to DropZone. How can I write for DropZone? DropZone is NOT seeking research writers. It is required that writers are experts in the field of skydiving. Check out the website for additional information and requirements regarding content submissions. No links to your work or business may be posted in the article, unless it is a case study. How much does DropZone pay? 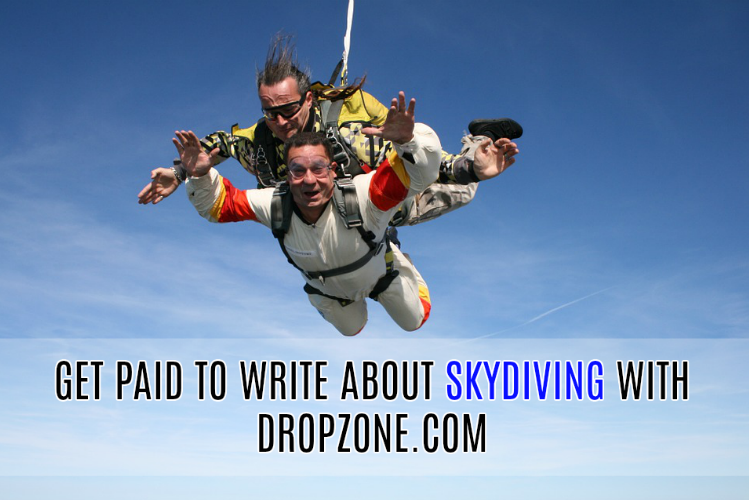 Monetary compensation is not discussed on the website, but it was previously listed as a minimum of $50 per submission, with articles that are featured on the DropZone homepage being paid up to $100. This may no longer be the case, so be sure to get confirmation of pay rates before submitting your work. How much can I earn with DropZone? Earning potential depends on your pay rate. You are paid upon publication. I do not have personal experience with DropZone. What do you think of DropZone? Have anything you'd like to add?